The Civil War forces Johnny Graham into manhood even before reaching his teenage years. When his father is called to serve, defending the Texas ranch falls on the boy's young shoulders. Pa comes home at last, crippled and gaunt, and it is Johnny who must take a herd of longhorns to Abilene. There he meets Christina and hurries home to tell his parents he intends to marry. But he finds the ranch surrounded by outlaws and hears his mother's dying screams from the inferno of their blazing cabin. 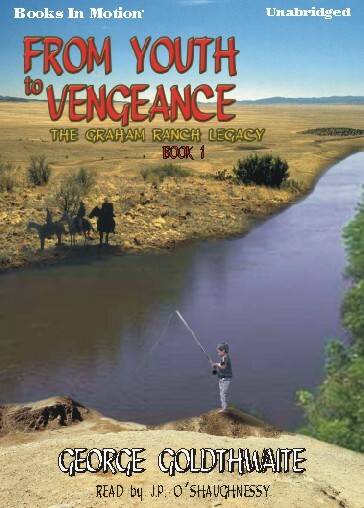 Now Johnny must decide: pursue his dream of wife and family or ride a vengeance trail. 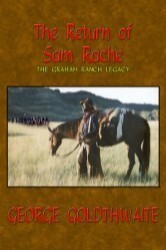 As a child, Sam Rache was captured and raised by the Quahadi Comanche. The Battle of Palo Duro Canyon forced the tribe onto the reservation. Now on his own, the son of former slaves must survive the white man's world. When an army officer needs medical attention, Sam takes him to Fort Hays, Kansas and falls in love with a young nurse. He intends to guide the officer to Dakota Territory before returning to ask for her hand in marriage. 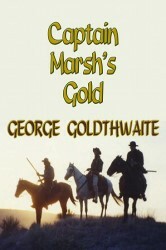 But Sam is blackmailed into scouting for the Seventh Cavalry. He leads Custer's troops to an obscure river in eastern Montana, one whose name will be forever etched in the history of the West: The Little Bighorn. After the Battle of the Little Bighorn, the steamboat FAR WEST was tasked with transporting the wounded back to Fort Abraham Lincoln. Already laden with gold, Captain March needed room for the soldiers and boiler fuel. He ordered Sam Rache to bury the bullion along the banks of the Bighorn River. Now a band of cutthroats wants the treasure. They kidnap his bride, Sarah and demand he bring them the buried fortune. Hundreds of miles from the Bighorn, Sam and his two friends have no gold, just iron, brass and led.